1. 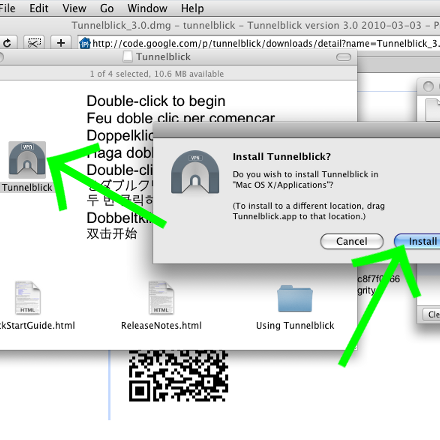 Download and install TunnelBlick 3.0 or the latest version. 2. 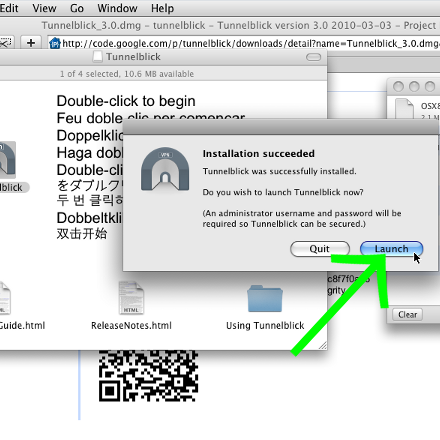 After installation click on "Launch". 3. 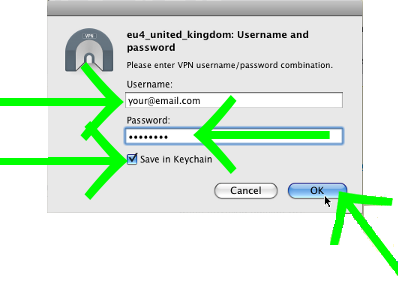 If requested, enter your administrator password. 4. Click on "Create and open configuration folder". 6. 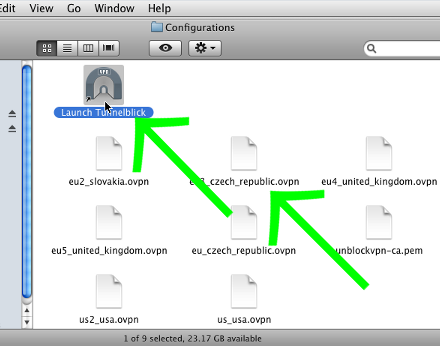 Copy the files from the downloaded zip archive to the opened configuration folder with TunnelBlick icon. 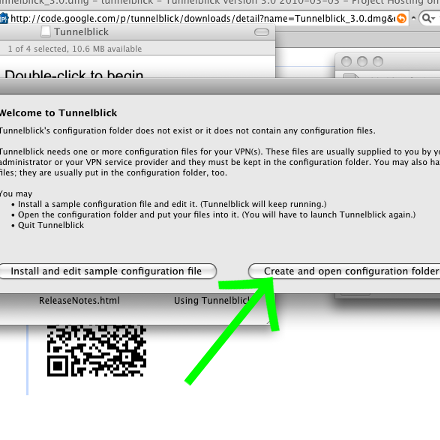 And start TunnelBlick by double clicking on the `Launch TunnelBlick` icon. 7. TunnelBlick icon indicator should appear in the top right corner of your screen. 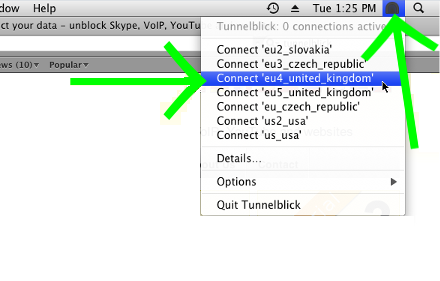 Click on it and choose the custom VPN server that you want connect to. 8. If requested, enter your administrator password. 10. 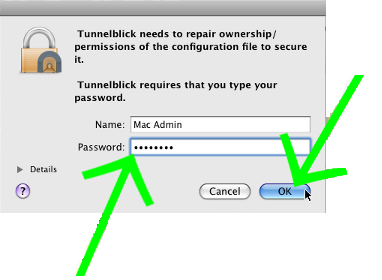 Wait several seconds until the connection is established and click on the TunnelBlick icon. You will see 1 active connection. If you want to connect to another server, disconnect the active connection and then click on the other server you want to connect to.